It is the exclusive DANBOARD mini! The box art comes in a familiar amazon.com packaging. The contents of the DANBOARD mini includes DANBOARD itself in a mini 8cm height, joints storage box, mini stand, standard leaflets of earlier and upcoming release. Yes, the DANBOARD mini comes with a swtich to turn on the lights in the eyes and mouth, just like the standard size DANBOARD (amazon version). DANBOARD mini seems lost in a new place. Little did he know, that someone is watching! a series dedicated to Japanese magazine that come with complimentary bags. If you don't know Fred Perry, Fred Perry is a high-end British street fashion label which is very popular in UK, Japan, Hong Kong. The Fred Perry label is created by the late World No.1 tennis player, Fred Perry (1909-1995), himself. Fred Perry label can be identified by its trademark laurel emblem stitched on the left breast of their clothing. The Fred Perry label is now owned by a Japanese corporation. Scored this latest Summer 2010 Collection catalogue. Didn't cost much, but definitely worth it, since it came with a cool free Fred Perry tote bag. The catalogue comes in a folded iconic Fred Perry polo T-shirt design, packed with a special content. Neatly folded into the box is the Fred Perry tote bag. The front of the tote bag bears the trademark laurel emblem. The rear is a stitched "Union Jack". The front has a slot-in pocket for my camera and wallet. The main compartment has an inner compartment for other smaller items, while the main compartment accomodates contents much bigger than A4. but it is definitely better than cheap woven bags. Can't really complain about free bags eh! Furthermore, it is a Fred Perry! Pictures from Panasonic Lumix-LX3 handheld. As part of the Singapore Arts Festival 2010, the Esplanade Park and Empress Place Precinct was transformed into a glowing wonderland. Created by renowned French fire alchemist, Compagnie Carabosse embellished the precinct with sculptures of metal, clay pots of blazing fire. At the Esplanade Park, metallic spherical 'fireballs' studded with claypots of fire decorated the usually empty patch of green. Tall fire stovepipes gently billowing fire and smoke, resembles glowing gothic candles. Haunting new age tunes of Asian musicians, Andrew Lum and New Asia, completes the whole visual and sound experience. Watching the panaramic display of art over Esplanade Park from a metal-sculpted bench with hanging bulbs of fire. Towering fire stovepipes bears inscriptions which appeared as flames blows out its top. This three-night fiery extravaganza made the usually cold Esplanade Park and Empress Place precinct into a heart-warming and lively place to hang out with family, friends, fellow citizens and tourists. by chance, no SLR and tripods with me, but LX3 once again did its job! 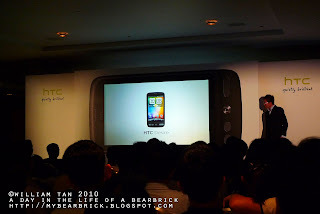 The 7th Android phone from HTC (if we include Nexus One as part of the HTC line-up), HTC Desire, was released yesterday. 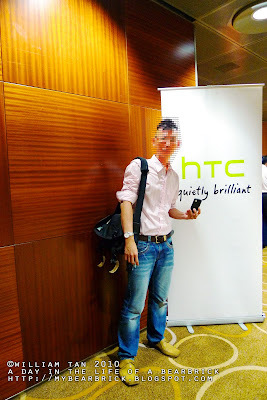 I had to visit the launch to get a physical hands-on on the next big thing from HTC. As HTC's slogan suggests, "quietly brilliant", HTC do not need full page advertisements daily and tons of unofficial celebrity endorsements. The HTC Desire will be the next coolest thing to have! 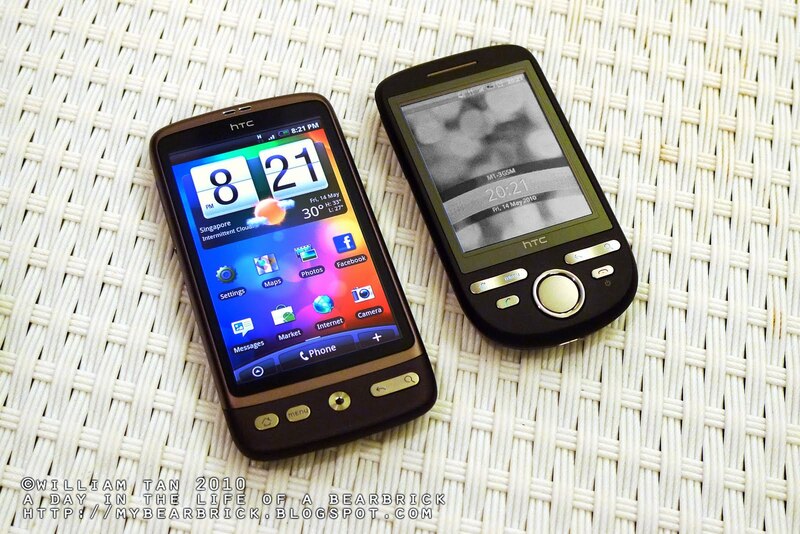 The HTC Desire is essentially Google Nexus One, spiced up and dressed in a HTC outfit. It comes with an upgraded optical sensor in replacement of the earlier trackball. 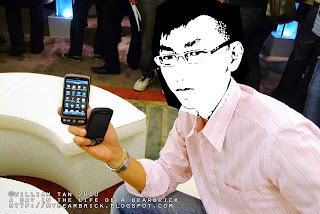 Compared to the lowest end Android phone, HTC Tattoo, we are comparing Heaven and Earth! Just check out all that extra estate! Damn, still could not cramp more than 4x4 shortcuts on Home screens. Sleek and slim, a pleasure to hold in the hands, feels exactly like a Nexus One. HTC was nice to let me pocket one! Fat chance! I was merely trying if the Desire fits into a shirt pocket. It does! 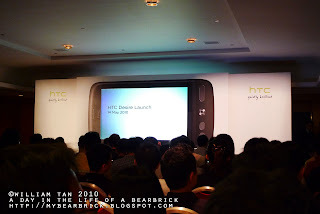 At a glance, HTC Desire has a 1GHz Qualcomm Snapdragon fast processor, a huge 3.7 inch capactive AMOLED dual-touch screen (bigger than iPhone 3GS), 5-MP camera with flash and face detection, Bluetooth Object Push, Android 2.1 Eclair and lastest version of HTC Sense UI featuring FriendSTREAM! HTC Desire is expected to launch at all Telcos @ S$898. For more info, check out OFFICIAL SITE HERE! I would never have fishball noodles for any meal because I believe that they all taste the same, bad! But after seeing the long queues at Teochew Bakso at People's Park Cooked Food Centre, I had to order one to try. There was not much choice, no minced meat mushroom, no mini-pot noodles, just Bakso Kering (Fishball) with Mi (mee pok), Mi Kia (thin noodles) or Kway Teow (rice noodles), in soup or dry. I had to change my opinion of Fishball Noodles forever! Shown here is the $4 version with a huge bowl of noodles with 5 huge fishballs and 4 thin slices of fish cake. The fishballs are very springy and crunchy. The fish cake was nothing too fantastic, but the noodles are probably the reason for the crowd. The egg noodles and its simple blend of sauces is heavenly! Cannot really imagine that from simple fishball noodles in hawker foodfare. The noodles have a slightly stronger alkaline taste and reminded me a lot of having noodles in Hong Kong. I wonder if Bakso means "BALLS..... either way, Teochew Bakso's Fishball Noodles definitely changed my opinion of the plain and common fishball noodles. There is only one fishball noodles that I will have for breakfast, lunch, dinner and supper. That will be Mi Bakso Kering at Teochew Bakso. Double thumbs up for the cheap price (S$3-S$4) and fantastic taste! SONY E-Series NEX: The Next Cool & Sleek Ultra-compact "DSLR"
SONY ramped up game in their ALPHA DSLR line-up with a new series of ultra-compact "DSLR", this is probably in light of the recently popular Panasonic GF1 and Olympus PEN E-P2 and E-P1. The SONY "NEX" are actually not considered Digital Single Lens Reflex cameras, but ultra-portable mirror-less interchangeable lens cameras. The two models NEX-3 and NEX-5 are identical looking cameras with a new 14.6 MegaPixel Exmor APS HD CMOS sensor and utilizes a new mirror-less E-mount. The NEXs' sensor is 60% larger than those found in the micro-4/3 (GF1, PENs), which is a major advantage over the existing technology. A larger sensor improves image quality, reduces image noise and allows creative defocus background, much like an actual DSLR. The NEXs' light sensitivity goes up to ISO 12,000, which means shooting in low light and test images at highest ISO showed super clean images. Both cameras sport a 3" 921K dot hi-res LCD display as an electronic viewfinder. The LCD can tilt up or down for comfortable viewing in any shooting position and angle. The LCD screen has an auto-brightness control for good outdoor visibility. It's TruBlack screen technology enables vivid, high-contrast view of images and camera settings. Both models allows capturing of HD video recording (1080i for NEX-5/720p for NEX-3) with built-in microphones for stereo-recording. An interesting feature of the NEX is the Sweeping Panorama that allows you to capture large group shots with an easy press-and-sweep action (covers 226-degree along the horizontal; 151-degree along the vertical) and saves it in a MULTI-PICTURE FORMAT (.mpf) which playback the 3D image on 3D HDTV (firmware available only in Q3 2010). SONY has also decided to do away with any manual controls and incorporate all the controls in the LCD touchscreen. The NEX cameras utilizes the more friendly SD/SDHC/SDXC memory cards apart from the proprietary Memory Stick PRO Duo. A Smart Accessory port sits on top of the camera and allows the use of future accessories. The port is also used for a screw-on external flash HVL-F7S (which is supplied!). The best part of it is the flash tilts, which means no more flash-killed images and Willkommen to creative lighting!. NEX-5 shoots Full HD movie (1080i AVCHD and 720p MP4) with Full HD 60i recording. 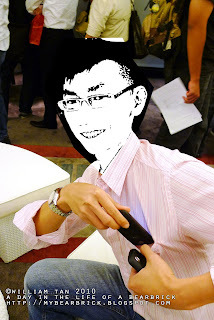 The NEX-3 shoots only at 720p HD video as the compressed MP4 files. NEX-5 is constructed from magnesium alloy (in sleek Black colour) while the NEX-3 with a polycarbonate casing (available in multiple-colours). *The 16mm prime lens can be optionally used with the screw-on VCL-ECU1 Ultra Wide Converter to 12mm angle or VCL-ECF1 Fisheye Converter. The NEX-5 and NEX-3 are available in kit form with either the 16mm prime or the 18mm-55mm lens. The good news for existing ALPHA DSLR users, you can use your existing ALPHA A-mount lenses with an optional adaptor, LA-EA1. This means the older Minolta lenses are compatible too! But you will probably have to handle the setup by the lens, since the body is so small and the mount probably cannot withstand the pull from the weight of the lens. The future of the new E-mount lens is bright, especially when SONY releases its first of a kind, handheld camcorder which allow interchangeable lenses utilizing the E-mount. So will SONY face serious competition from Olympus & Panasonic's m4/3 or Samsung's NX10? Not quite. This is obviously a case of newer technology is better! Furthermore, with SONY's aggressive marketing strategy to promote their ALPHA, which also gained a decent market share against top dogs (Canon and Nikon), the compatibility option to utilize ALHPA lenses is already a great success! At 7fps compared to existing m4/3's 3fps, who won't be swayed! Don't you wanna snap our favorite, lovely SONY booth ladies with the new NEX-5? The SONY NEX-3 and NEX-5 are definitely the next coolest, sleekest photography gadget. You will soon find around the necks or in the hands of the coolest trend-setters! 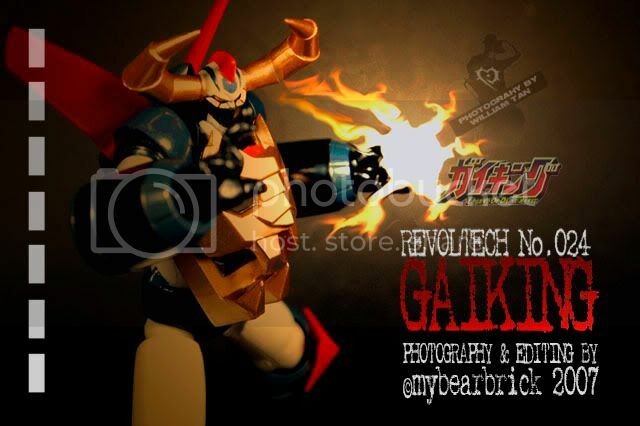 The NEX will definitely appeal to not only cool people, but professional photographers wanting quality in compact with style, photography-otakus (like myself) and photography hobbyists. Any consumer who wants DSLR quality photos and minus the bulk and weight, someone has answered your prayers! This is something to drool over! I would definitely look forward to getting my hands on the cool NEX-5 and slap on the 18mm-200mm F3.5-6.3 (11x zoom) walkabout lens, which might end up being my daily companion! Can it replace my Legendary LUMIX-LX3? Hard to tell, since my LX3 is still f/2.0 at 24mm, a stop faster than its 16mm (24mm equiv.) prime at f/2.8. However, the ISO 12,000 sample does boast it to be phenomenal! 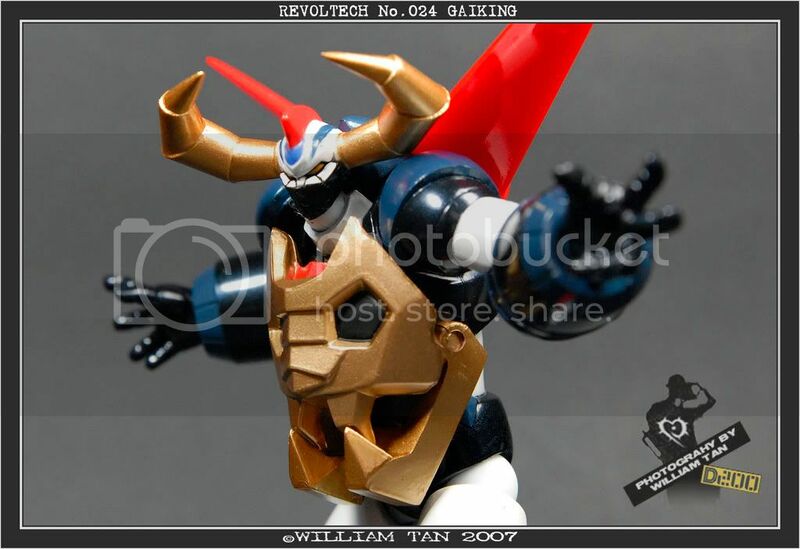 you will love the remake version of "GAIKING, The Legend of Daiku Maryu" (大空魔竜ガイキング) into a movie.